In early 2018, Opal RiverSide handed over the majority of its customers to the same ground. At this time, Angel has completed the complete interior design for Ms Chau. She is very pleased with this design and we are in the process of finishing works like drawings. 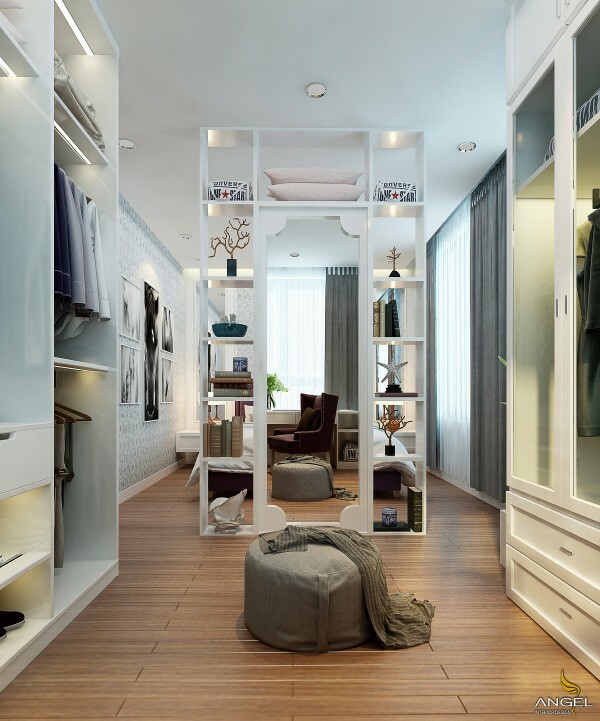 The space in the design is light and simple in modern style. Living room space creates an open space, which helps both to expand the space and to help to pack multiple pieces together into one because there is no retaining wall or cover. With the highlight on the TV, the same emerald green as the background will help to focus more without being glare or dazzling when using the TV. Wooden shelves are intricately designed to decorate in a very creative way thanks to the unique features that this design owns. 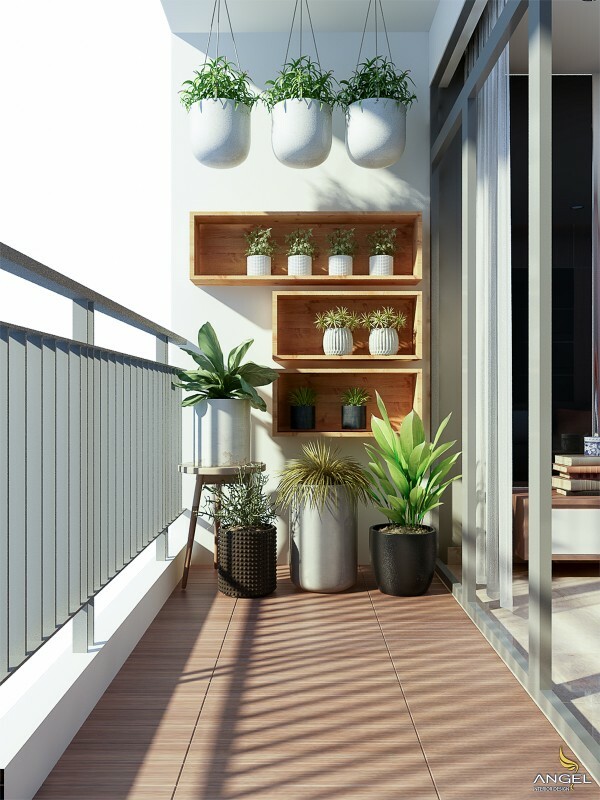 Apartment balcony with simple shelves to place the small pots. If you decorate many balconies can be made narrow balcony area very faint poetry for our apartment. Inside the bedroom, we can feel the style from the overflowing room with rectangular cubes for furniture from decorative glass to the bedside. 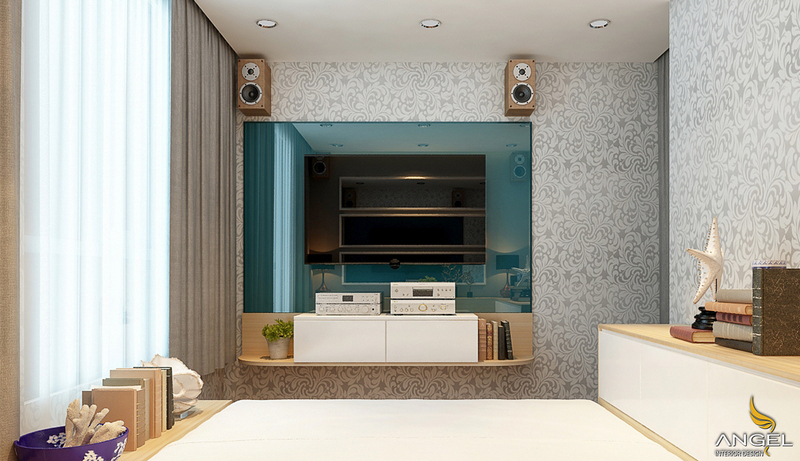 The formation of color contrasts with the living room TV also makes the room a theme apartment. Both bedrooms are fitted with wooden flooring providing a cozy feeling for a rest after a stressful working day. Second bedroom has a purple bed in the middle of a white space also holds the owner of the apartment.